West Fairview Avenue is located 2.5 miles south of Downtown Montgomery and is bordered on the north and south with historic communities whose residents once participated in the Civil Rights Movement and the Selma to Montgomery March. West Fairview Avenue’s commercial properties from I-65 to Court Street were built within the past 50 years and are set back far from the street behind large parking lots and the street is characterized by overhead power lines, broken sidewalks, and speeding traffic. West Fairview Avenue is one of the main gateways into the City but is often skipped over by to drive thru traffic heading to more prosperous areas. For the adjacent neighborhoods, the businesses along the avenue have traditionally been the "main street" for the community and although many people walk or ride bikes to the businesses, very little accommodation is made for pedestrians or cyclists, and crossing the street can be dangerous. 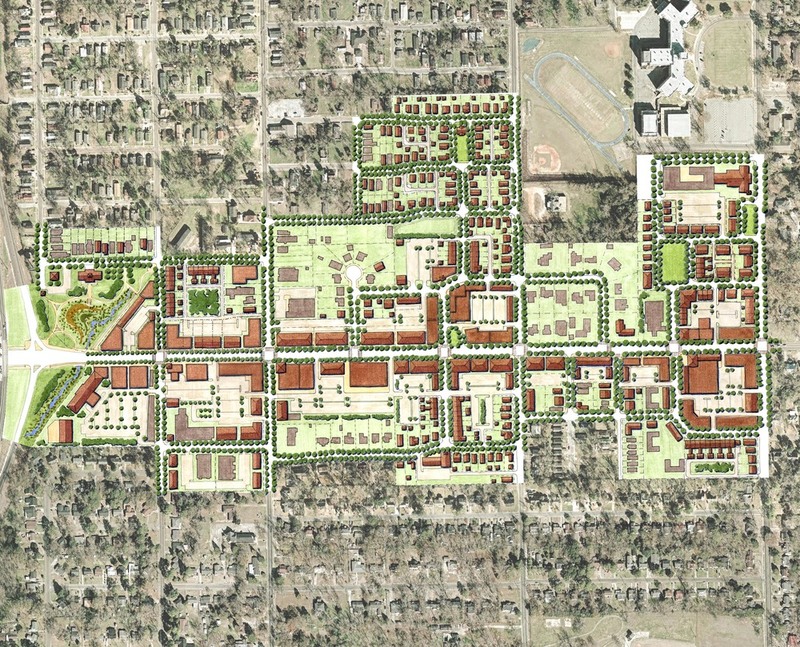 Dover, Kohl & Partners worked together with Urban Advisors and volunteers from Hall Planning & Engineering, Barge Waggoner Sumner and Cannon, 2WR | Holmes Wilkins Architects, and Goodwyn, Mills and Caywood to create the West Fairview Avenue Plan. A mix of housing types and uses are planned to replace the Sears building that has been vacant for over 40 years. 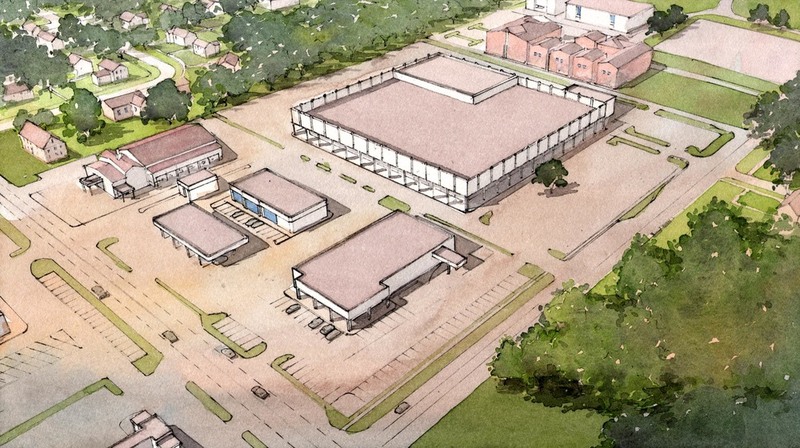 Although some new buildings have been built in the parking lot by West Fairview Avenue, the area could be better utilized and provide a transition to the east of Court Street. 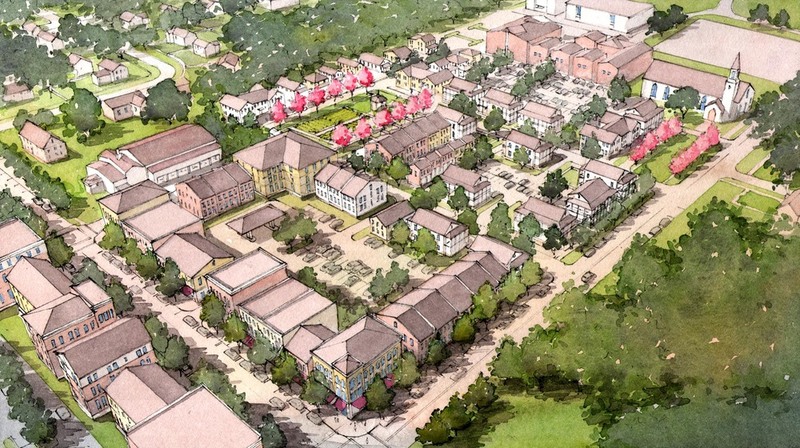 A first phase replaces the empty building with a diverse neighborhood of affordable and market rate live/work buildings, mansion apartments, townhomes, single family homes, a park, and a community garden. By replacing the single use Sears building with many smaller buildings and uses, activity can return and the area’s future will not be determined by the fate of any one building or use. 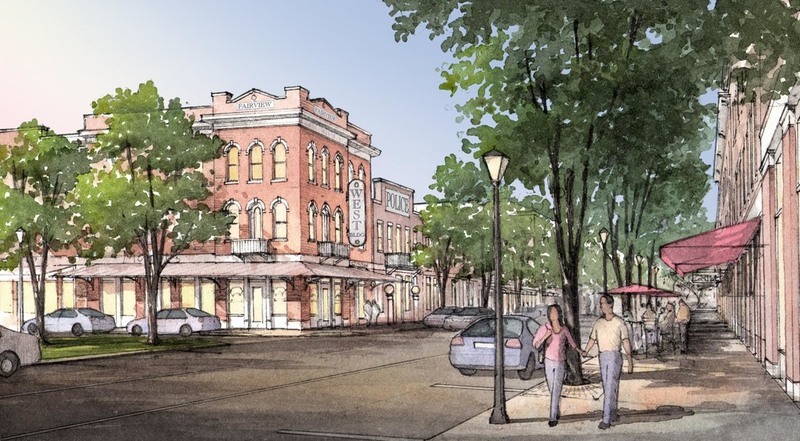 A second phase of transformation along West Fairview Avenue is continued as auto-oriented development is replaced with mixed-use buildings, creating a main street. Court Street is converted to a two-way street and West Fairview Avenue is modified to a three lane section including on-street paring, sidewalks, and street trees. 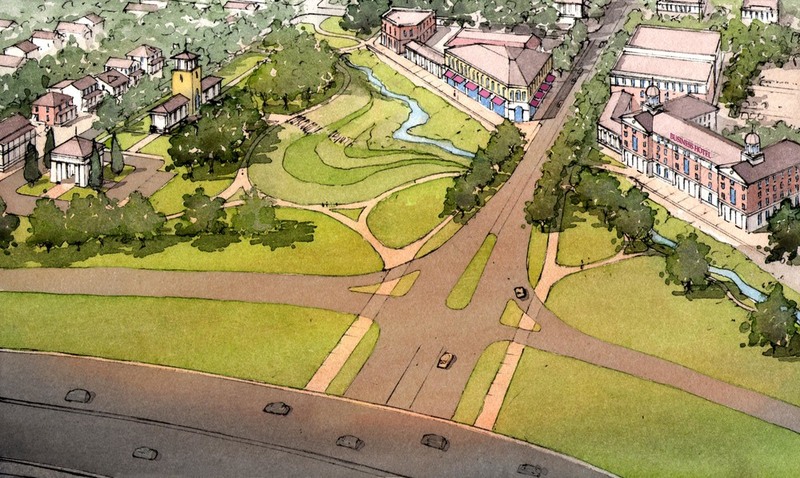 While no single element by itself can create a memorable destination, these initiatives working in concert will make West Fairview Avenue a notable center within the City.